When I was getting ready to head off to Ljubljana a few weeks ago, I knew nothing about the place and naturally, I looked online for some blog posts with tips. 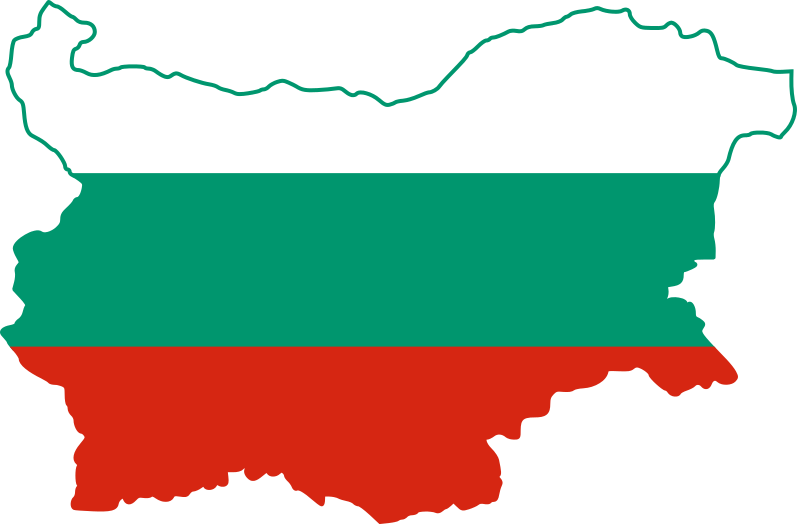 While I did find a lot of information on interesting places that I should visit there, I didn’t find a comprehensive list of things I need to know about the city before I arrive. So, to spare you the same trouble, here’s what I find to be very useful information before going to Ljubljana. 1. Exploring Ljubljana is best done on a bicycle that costs €1 per week. Check out my detailed post with a step-by-step guide on renting bicycles here. 2. Where to stay in Ljubljana? In all honesty, I am a fussy traveler. I do not require Versace bed sheets, but I do need my comfort and I demand good hygiene. With that in mind, I have good news for you – regardless of whether you go for a very fancy or very cost-effective accommodation, you can be confident it will be clean. You can check my personal recommendations here. 3. Internet, WiFi, 3G, 4G… You’ll be OK, don’t worry! Every coffee shop/bar/restaurant in Ljubljana has WiFi. (That’s my favorite!) You can go to SiMobil and purchase a prepaid card with 5GB of data for €5. The card is active three days only, but you can top it up with another €5, and you’ll have seven more days and additional 5GB. If you need to make calls simply top it up with some extra cash at any of the offices of Si Mobil. 4. If you need to buy something late in the evening or at night, you’d better assume the store is closed. Ljubljana isn’t awake 24/7 and after 8 o’clock PM, you better start assuming stores will be closed. This way you can avoid being disappointed. But please – don’t consider this a bad thing – you’ll appreciate it when you go to bed and it’s so peaceful and quiet! 5. Taxis are hard to catch. I never really understood what is the deal with taxis in Ljubljana. One person told us that we can’t simply stop a cab anywhere on the street, but we need to go to one of the specific parking places instead or order via phone. Nevertheless, we did manage to stop a cab once but, to be fair, it was probably after the 5th attempt. So, if you need a cab, you’d be much better off asking a local to call one. 6. When locals say something is far, they usually mean a 20 to 30-minute walk. Even if you are not an avid walker, you may end up waiting for a cab or a bus longer than that, so unless you’re wearing the most uncomfortable shoes ever, I suggest you walk. 7. You can’t buy a bus ticket from the bus driver. 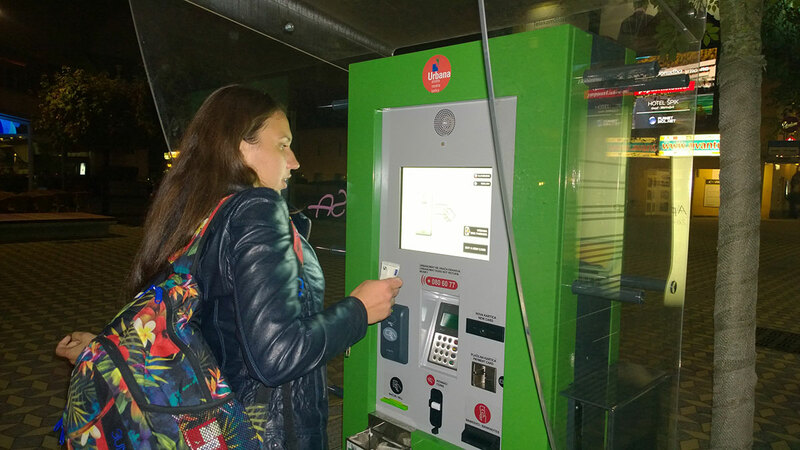 If you are staying in Ljubljana for several days only and need to use the bus, you can add some cash to your Urbana card (using one of those machines shown above). You enter the bus from the front door (like in London) and you press your card against the reader. You’re charged €1.20 and this charge allows you to ride any bus in any direction for the duration of 1.5 hours, counting from the minute you get on the first bus. Don’t worry about finding things or communicating with people. Nearly everyone in Ljubljana speaks English. Many people will fool themselves into thinking that Ljubljana is a small city, and they can see everything in 2-3 days. Don’t be fooled – I was there for seven days and now that I think about it – I have done nothing! Besides, Ljubljana has its way of tempting you into areas of town you did not consider before going there. So you better have a really good schedule or a lot of time – otherwise, you will end up missing on so many nice things! 10. You will receive an amazing value for your money! I will never say Ljubljana is cheap because I would not offend this place in a million years by calling it cheap. What I can say with hand on my heart, however, is that you will get an amazing value for your money there, especially if you’re comparing to the other European capitals. Thank you Mark! I am confident you won’t regret it. We’re so in love with Ljubljana and Slovenia, that we’re actually planning our next trip there as well.